Gone are the days when you have to visit the mechanic shop for all your servicing and repairs. With the introduction of Bluetooth Adapter Scanner, you can now find out the problem of your car from the comfort of your home through your smartphone without necessarily making a trip to the mechanic shop. These Bluetooth OBD II scan tool can diagnose, detect and clear error codes in a couple of minutes. 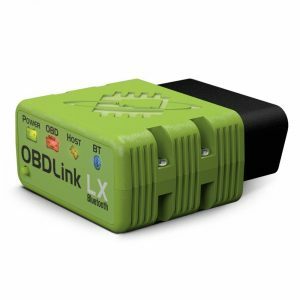 The OBDLink LX ScanTool company is the leading manufacturer of automotive diagnostic tools and solutions for professional mechanics and DIYers. The company product is compatible with most diagnostic software and apps. The company manufacture scan tool that is faster than most products on the market today. Their products are usually hacker proof, lightweight and produced from the best material. Consider purchasing the company’s scan tool if you are searching for ultra-fast response time, smooth and detailed graph, battery saver technology e.t.c Their products are compatible with tablets, smartphones and PC’s but not compatible with Apple iOS products. It also works for third-party software and apps. Maximize the function of your tablet, phone, windows into the best automotive scan tool. This device was manufactured by professionals engineers, and it has been widely used throughout the world. The ScanTool will work on your Windows and Andriod devices. This ScanTool is easy to use, installs in a matter of seconds, and it’s safe to leave plugged in as the device won’t drain the battery of your vehicle or cause any damage. The professional code reader features hacker-proof wireless security, have all the benefits of using your tablets or smartphone. The scan tool can read, diagnose and clear all CEL, codes, check engine light. This device will work for all vehicles from 1996 till date and work on Andriod (Android 2.2 and newer) and (Android 2.3.3 and newer). It can also read and clear codes like Airbag, ABS, or Transmission for every GM, Ford, Chrysler, Toyota and other models. The ScanTool 427201 OBDLink professional scan tool is a plug- and play scan tool. This scan tool uses some of the most common report apps like OBD car Doctor, Torque, Harry’s Lap Timer, DashCommand, or OBD Auto Doctor. The device can be connected to the onboard diagnostic port usually located at the driver’s compartment either in an OBD II or CAN and will display the information from your car’s CPU and wirelessly transmit it to your tablet, smartphone or PC. This tool can be used to monitor the engine parameters, MPG, reading and resetting the engine trouble codes, fuel efficiency, monitoring the engine performance and driving behavior in real time, along with other benefits and data as well. The scan tool is easy to use and install in a matter of seconds without the need of a professional mechanic. It comes with an instructional manual to assist with installation and a two years warranty. This device is the best you’ll see in the market. The ScanTool provide the best technology with the sleep mode features, stable connections resulting in quick scanning and diagnose of all your imported and exported cars except electric or hybrid vehicles. The Bluetooth Adapter enables the operator to read diagnostic trouble codes (DTCs) of 1996 and newer OBD II cars. The tool outperforms most automotive scanner in the market. The ScanTool is compatible with third-party apps and software than most products. It also comes with free software and Android app that is compatible with third-party apps. The scanner is hackerproof, multi-layer link, uses 128-bit data encryption, a security mechanism that eliminates the risk of unauthorized access.